While the challenge to tackle broad-scale deforestation looms large, the contributions of those living closest to the forest are increasingly being recognized in the effort to protect, restore, and sustainably manage forests. Women in forest dependent communities and indigenous peoples have unique experiences, uses and knowledge of forest resources that can help advance forest protection and production. However, the political and economic marginalization of these groups over time has limited their potential to contribute in these areas. Their distinct roles, rights, and participation in the forest and agriculture economies nevertheless make them important stakeholders in the deforestation-free agenda. 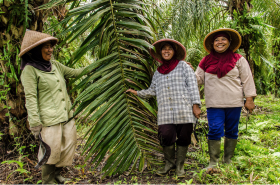 Recent good practice examples and data show that when women and indigenous peoples are appropriately and effectively engaged, stronger and more equitable forest project and commodity production outcomes are possible. An FAO study found that if women farmers were given the same access to resources as men (such as land, finance and technology), their agricultural yields could increase by 20 to 30 percent; national agricultural output could rise by 2.5 to 4 percent; and the number of malnourished people could be reduced by 12 to 17 percent. In many different regions of Brazil, indigenous women’s organizations have engaged in small-scale production of deforestation-free beef in a region in which commodity-driven deforestation is of growing concern. In addition to facilitating their entry into the marketplace, The Nature Conservancy has been working with indigenous leaders of the Union of Indigenous Women of the Brazilian Amazon and other indigenous groups, as well as leaders of some of the largest commodity companies in Brazil to facilitate collaborative dialogue and exchange of best practices on corporate engagement with indigenous peoples in supply chains. The Business and Indigenous Peoples Dialogue Initiative has since released the report, Brazilian Guidelines of Good Corporate Practices with Indigenous Peoples (the Portuguese language report is online here), which offers tools for companies and indigenous peoples to strengthen business cooperation while respecting indigenous rights and territories. These examples and more will be highlighted in the knowledge exchange session “The Power of Women and Indigenous Peoples to Achieve Better Growth with Forests” at the 2nd annual Tropical Forest Alliance 2020 General Assembly in Brasilia, Brazil on 21 March 2017. This session will elaborate on the benefits of social inclusivity and gender sensitive approaches in forest protection and commodity production, as well as provide concrete examples of how women and indigenous peoples’ unique contributions to sustainable management of forests and deforestation free commodities are bringing results across a range of contexts and initiatives. Maryka Paquette is an environmental policy and sustainable development specialist at UNDP with a focus on indigenous peoples’ rights and culture. She supports the engagement and advocacy of forest dependent peoples in forest-related UN conventions, supports the advancement of the New York Declaration on Forests, and contributes to the broader portfolio of programs implemented by the UNDP Nature for Development Programme. 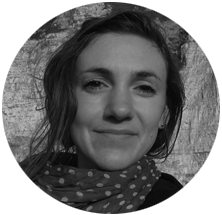 Maryka Paquette is Programme Analyst of the UNDP’s Global Forests Initiative in New York.